The Porsche Panamera gets a diesel, anyone complaining? The Panamera’s certainly not ashamed of it, it tells everyone it has a diesel under its lovely hood. Since Porsche started the Cayenne in 2002, the unwritten rule which said that Porsches should be sports car has been violated. Deleted. The use of a diesel engine isn’t worse than the creation of the Cayenne, actually, it even makes sense. The Panamera diesel is rated at 36-mpg, nobody had never seen a Porsche getting such a number. That’s economy car fuel consumption, which this Porsche is not: its top speed is 150-mph. Acceleration from 0 to 62-mph takes only 6.8-seconds, but the most impressive value about the Panamera is its range. Its fuel tank is sized for the big gasoline V8. So it holds 21 gallons of fuel, which allows 745-miles of driving between fill-ups on this diesel. I would enjoy that! The Porsche Panamera diesel also promises a great time behind the wheel, thanks to its constant 406-lbs/ft of torque from 1750 to 2750-rpm. Diesels don’t need to rev, that’s what makes them so enjoyable in daily driving. Power, at 250-hp is only average though. 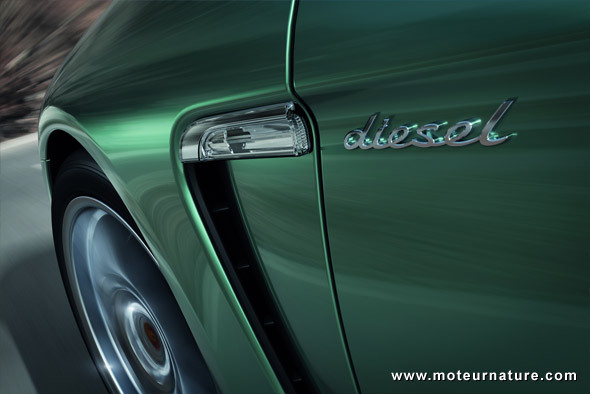 The Panamera diesel starts at 80,000-euros in Germany. We don’t know yet if it will come to the U.S. but I think it should. It has the same engine than the Audi Q7, albeit in a slightly different tune, so it can be made to meet American emission regulations. 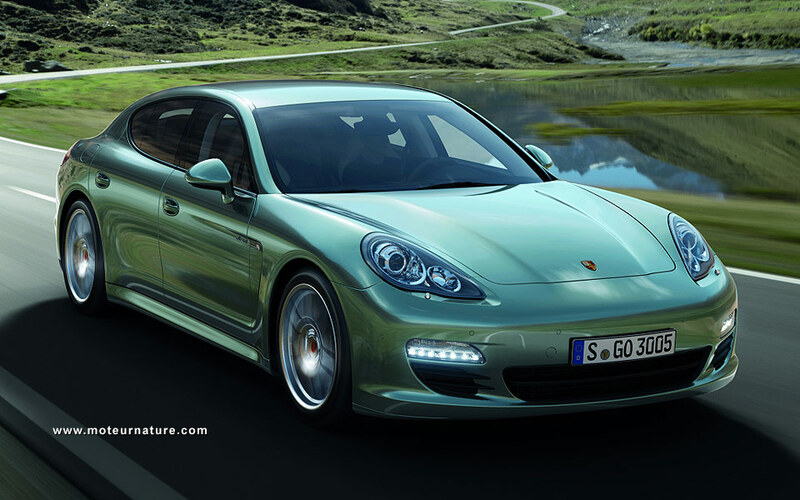 The above displayed color of panamera is stunning. Panamera achieves and accomplish the speed of Porsche.